We'll help you love your home & everything in it. There are only so many hours in the day and so many things competing for our time. Our precious time is wasted when we spend it searching for things we’ve misplaced or can’t find due to our abundance of other things. Our keepsakes and photos often sit in boxes because we aren’t sure what to do with them or don’t have the time to sort through them. This Organized Life AZ is here to help you enjoy your time, your home & your things. We organize all areas of the home, including kitchens, pantries, home offices, bedrooms, toy rooms, craft/hobby rooms, closets, garages, as well as the contents of these rooms, such as paperwork and photos. We are here to help in any situation. Maybe you have a busy household and would rather spend your free time with family and friends rather than on organizing projects. Or maybe you've experienced some sort of setback such as an illness, death in the family or just a rough patch. We are here to help at any life stage or event including moving, downsizing or right-sizing, merging households, dividing households, saying goodbye to a loved one or getting ready for a new child. We will work with you until the project is complete or until you are in a place where you want to do it yourself. We also offer maintenance packages so once we organize a space, we'll come back at regular intervals to keep things organized. We're glad you're here! Check out some of our work and helpful organizing tips on our blog. When you're ready to chat more about your organizing needs, let us know. 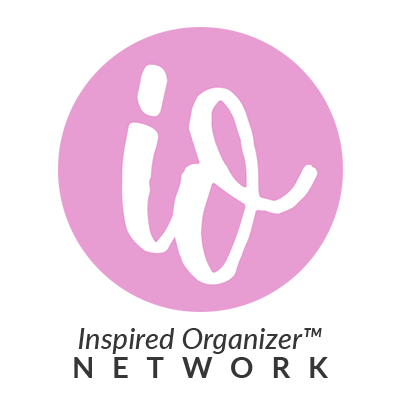 Need some in home organizing help? This Organized Life AZ is a professional home organization service serving Chandler, Gilbert, Mesa, Tempe, Queen Creek & San Tan Valley, AZ. We organize all areas of the home, including kitchens, pantries, bedrooms, toy rooms, craft rooms, closets, garages, as well as all the other contents in these rooms, such as paperwork and photos. We are here to help at any life stage or event including moving, downsizing or right-sizing, merging households, dividing households, or getting ready for a new child. We offer multiple services and packages to meet your needs. Contact us today for more information. I'm Jessica. I am a professional home organizer in the East Valley suburbs of Phoenix. Being a small business owner, wife & mom of two, I know there are never enough hours in the day to check off everything on our never-ending to-do lists. As I've gotten wiser (aka older), I have tried to be more intentional about my time. One of my personal mantras is "Do what you love. Outsource the rest!" Sign up to get our organizing tips. We promise we won’t clog up your inbox. We hate clutter! We respect your privacy & will never share your information. This Organized Life AZ is a top Gilbert, Arizona professional organizer on FindMyOrganizer.com!